How Do You Know When It's Time to Replace a Toilet? If a toilet is giving you trouble, it is easy to conclude that it needs to be replaced. While installing a new toilet can definitely be the best option for a troublesome fixture, it is not necessarily the only solution. When a few repairs will be enough to solve the problem, there is no reason to spend the extra money to buy a new toilet and take the time to install it. The key is knowing when to replace a toilet and when to repair it instead. Without considering cosmetic issues, there are still a few instances where a new toilet is a good idea. To help you determine when to replace a toilet, take a look at some common problems that you may encounter. Rebuilding a toilet can include quite a few items in the tank, like its handle, the flapper, and the fill valve. Some of these repairs can be easily done, but it will cost you money and requires time. Weighing these repair costs versus a new toilet is a smart practice, especially if your toilet suffers from any of the other problems listed below. If you're planning on replacing your toilet anytime soon, then save the money on the repair and replace the toilet instead. This will save you money in the long run, even though it will a bigger expense up front. Is your toilet a nuisance because it requires plunging more than once a week? 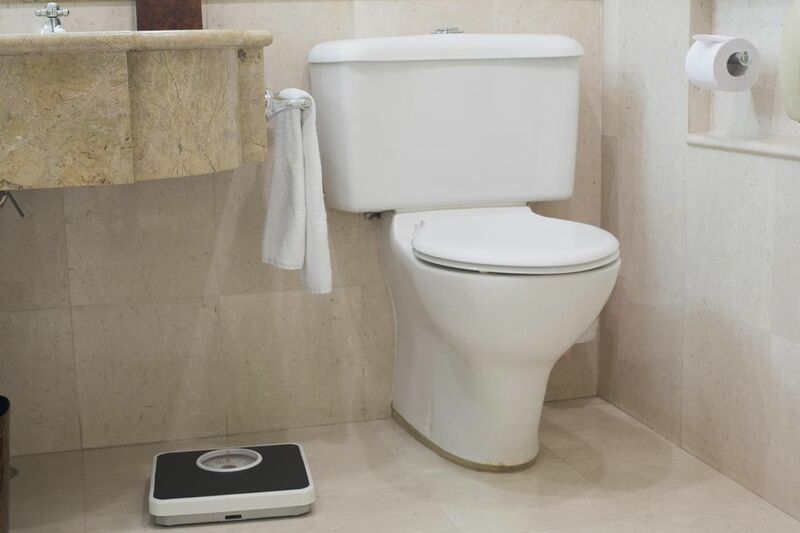 Many of the older low flush toilets require more than once flush most of the time. They are also often plagued with random stoppages. It is not pleasant to have to plunge the toilet on a regular basis. If this is an aggravation for you, then it's time to replace your toilet. You don’t even have to give up the water savings since low flush toilets have come a long way and the new line of water savers work much better. There are times when hairline cracks develop in the tank or bowl of a toilet. These small cracks can turn into a flood of water at the worst possible time. Porcelain cracks can also be the source of an active leak. Inspect your tank and bowl for any cracks occasionally when you clean the toilet. If you spot a crack, it is always a good idea to replace the toilet before it breaks completely. If the crack is located in the toilet bowl, it is not as urgent to replace the toilet but keep an eye out for leaking water when you flush. An unnoticed leak can lead to a ruined floor over time. As the surface of the toilet porcelain gets worn or scratched, it will become increasingly difficult to keep clean. This is more often the case with an older toilet that has been scrubbed clean many times. If you find yourself cleaning the toilet more and more, then it might be time to just buy a new one and rid yourself of some extra maintenance. If you do not already have a low flush toilet, saving water may be reason enough to replace a toilet. You can save quite a bit on your water bill every year with a low flush toilet. A water saving toilet uses less than 2 gallons of water per flush, which is considerably less than the old 3-gallon or even a 5-gallon flush toilets. Not only are you helping the environment by saving water, you are helping yourself save money. Utilities are only going to continue to rise so saving on household water usage makes sense.